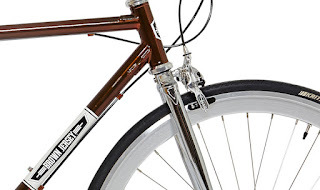 A newly spiced up version of our old favourite dark metallic brown PANEL VAN 5 Speed Sturmey Archer 5 Speed Internal Gear Hub bike is now available. 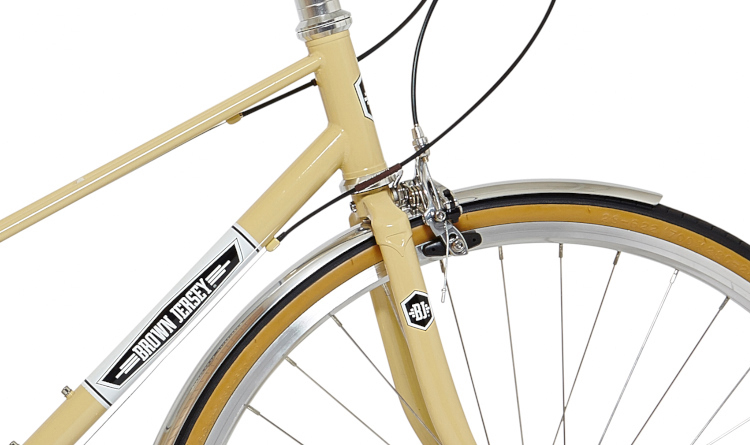 This bike is hipster ice cool - 32mm welded GLM rims with sealed bearing front hub and running the Sturmey Archer XRF5 down back. 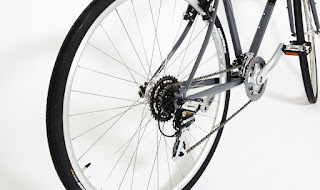 Stormy Archer Trigger shifters, Tektro calliper brakes couple with full length Radius brake levers for plenty of stopping power. Sealed bearing NECO headset and sealed cartridge NECO BB. But that's all the old stuff, what's new? 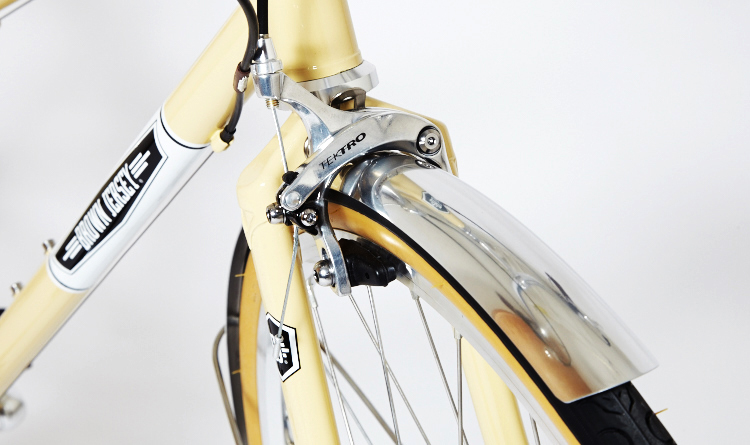 Honey coloured BOWIE genuine leather saddle, honey coloured KOMFURT grips and our super stylish lugged chrome fork are now adding some really luxurious bling to this bike! Quality and style in an uber retro package - great value at $895, available in 3 frame sizes. 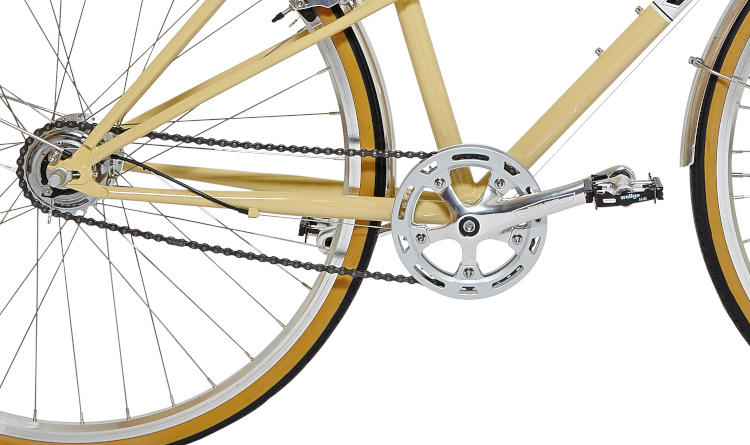 The 8 Speed Sturmey Archer Internal Gear Hub PARIS CREME has been a cornerstone of our Mixte bike lineup for some time, but recent specification updates have taken this bike to a new level and they are flying out the door as a result. 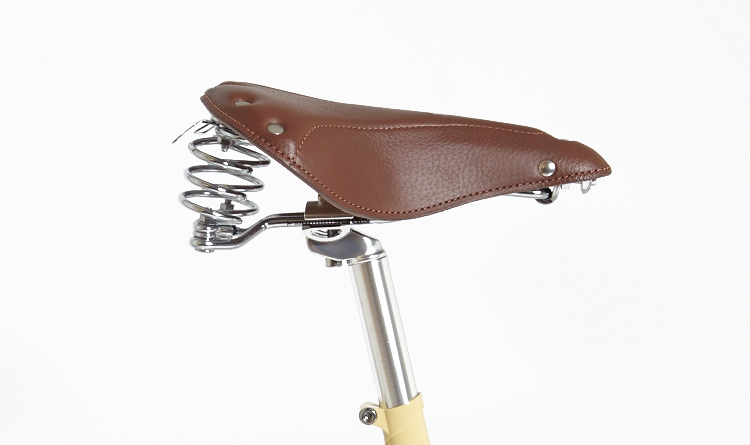 We've added a genuine leather Brown Jersey MOMMA CASS Saddle (which is both sprung and padded for you posterior comfort!). 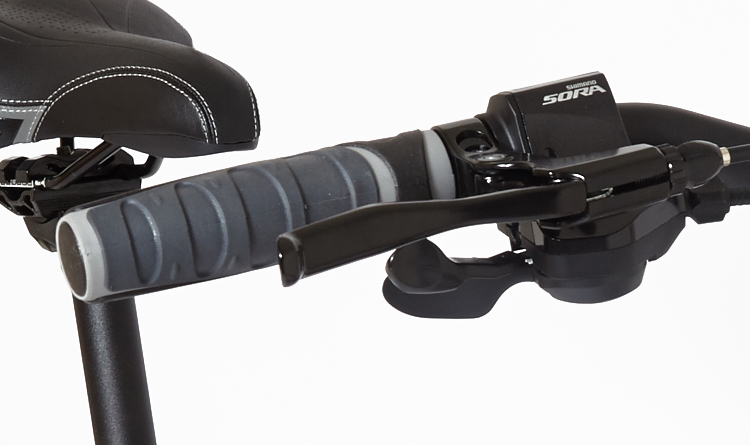 Matching textured leather KOMFURT grips also add to the high end feel of the bike. 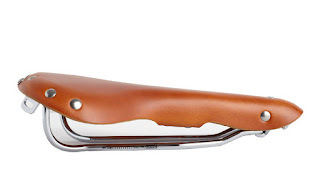 Also new is a larger and more swept back handlebar that delivers a very upright and comfortable riding position. 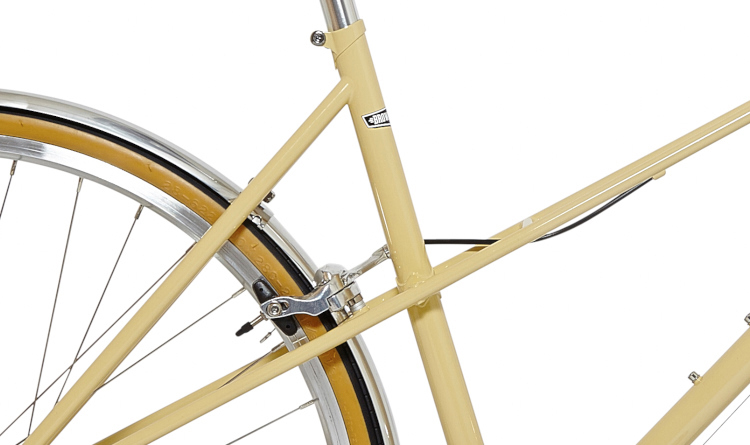 Also standard on this model are the 28mm gunwale tyres and the lovely polished alloy fenders. 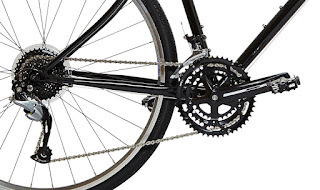 On the drivetrain side we are now using a 36T front chainset and this makes the bike more rideable overall. 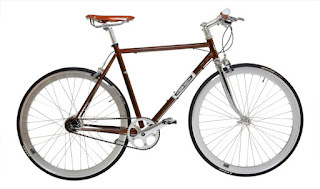 At $985 in this new spec, it represents excellent value for a great bike that will last a lifetime. 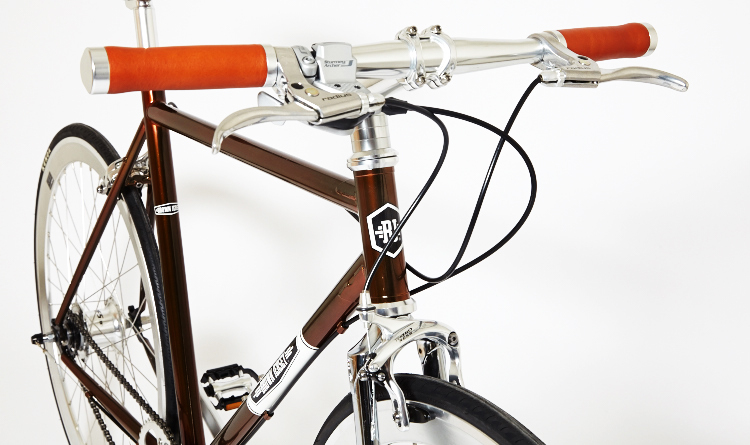 A nice bit of editorial in the ultra hip 'the Music' magazine this week. Really love this publication - a very nice place for a hipster bicycle brand to be seen. 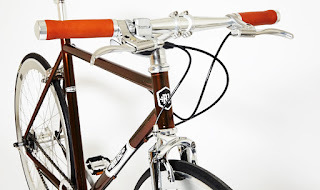 Good to know that along with great music industry connections, a good eye for craft beer and quality food stops there is some eye for detail on bespoke bicycles like the Brown Jersey Fixie, Internal Gear Hub, Mixte, Hybrid and Roadbike ranges. 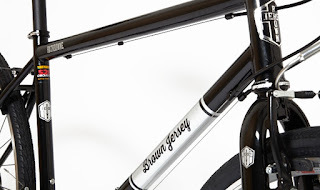 Great coverage in the Huffington Post last week around Brown Jersey's new Ultimo Shop. Whilst Brown Jersey Bikes has been going for over 5 years now, we've mainly been concentrating our efforts on selling our urban bicycle and bike components ranges to bike shops throughout Australia. 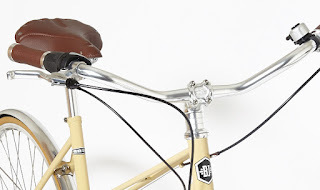 The Brown Jersey Ultimo concept store brings together our full range of fixie bikes, internal gear hub bikes (including the mixte bicycles), folding bike with the all new hybrid bikes, flatbar retro bikes and high quality retro road bikes. Combined with out cycle and casual clothing, bike components and accessories we've now got it all together, in one place, in a great high exposure location in Ultimo. Come by and check us out at 478 Wattle Street Ultimo. 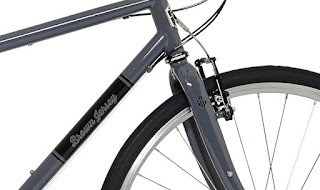 Brown Jersey is no longer just the leading Australian independent bicycle brand that produces beautiful high quality fixes and internal gear hub bikes. 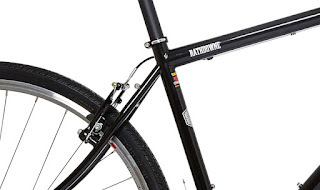 The new RATHDOWNE model is a great example of the bikes Brown Jersey is now producing - this bike being the first model produced using legendary Crmo tubing manufacturer Reynolds. This frame shares the same geometry as the WALER hybrid bike but is fabricated from Reynolds 520 CRMO tubing. This bike is more than just a very high quality well designed frame. As with every bike in the Brown Jersey lineup the RATHDOWNE has sealed bearing races throughout - headset (FSA), front and rear hubs (Formula) and bottom bracket. 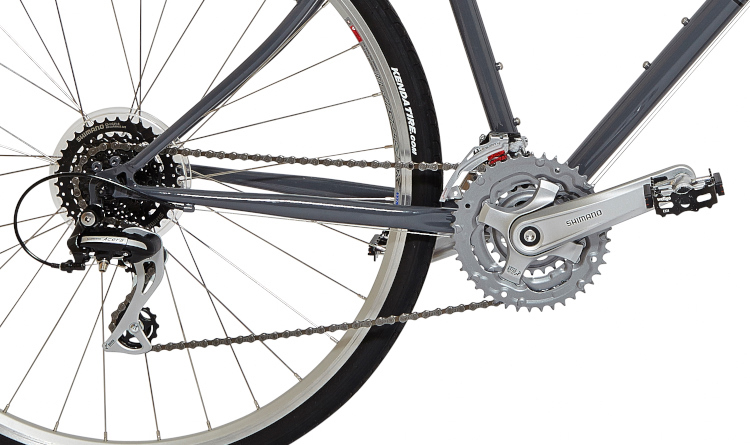 9s Shimano Acera rear derailleur combined with triple FSA chainset for a huge range of 27 gears, featuring Shimano SORA front derailleur and Shimano SORA trigger shifters...... awesome quality stuff. Comes equipped with Weinman rims shod with 35 mm Maxxis Overdrive tyres. 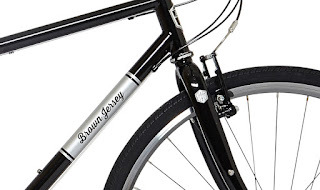 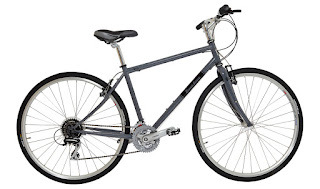 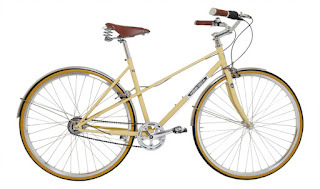 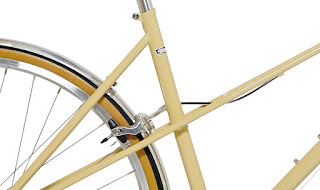 Brown Jersey Bikes is well known for it's quality urban bicycle range. It would be fair to say that the roots of our brand have established from the fixie bikes and internal gear hub bikes that we've been making for quite a few years. 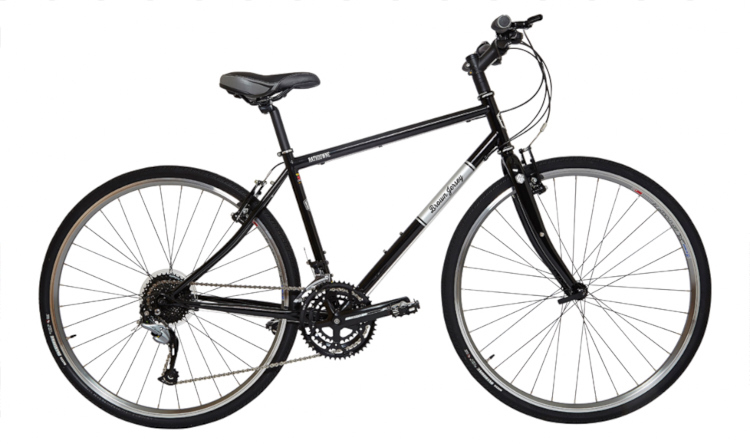 More recently we've added quite a few models to our urban bike range including this lovely base model hybrid bike known as the WALER. The Brown Jersey WALER is built from 4130 CrMo and like all our bikes has sealed bearing hubs, sealed bearing headset and sealed bearing bottom bracket. 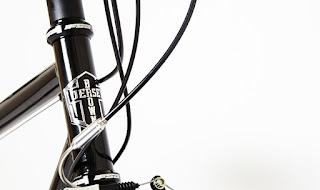 We like to put the quality touches into the things that you don't see as well as those that you do - that's the difference between a quality bike that will deliver a great riding experience for many years to come. Full Shimano Acera 8s drivetrain with Triple chainset gives 24 gears all up. 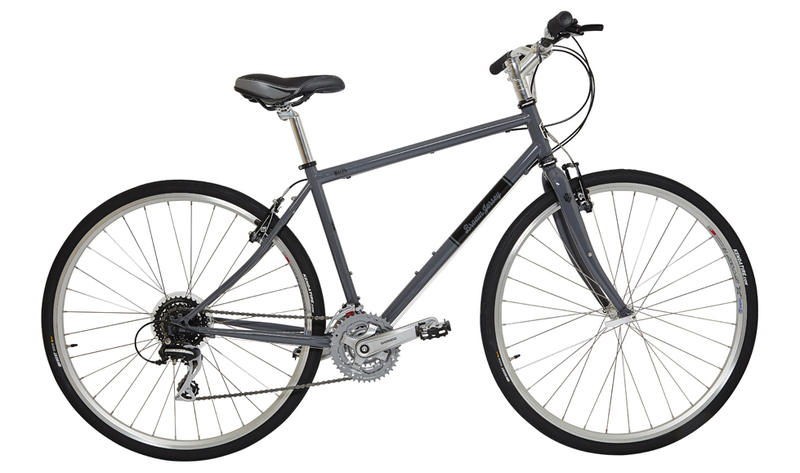 Weinman alloy rims, stainless spokes, Velo comfort saddle and 35mm tyres give this bike a great base level of quality. 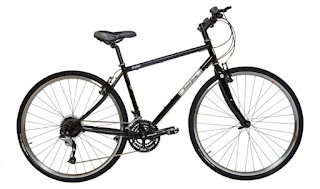 This bike has all the necessary attachment points and bosses for racks/guards/bidons and is very well suited to committing as well as long distance cycle touring. Really nicely finished in Castlerock Grey and available in 4 from sizes.